Wendy Williams attends Annual Charity Day hosted by Cantor Fitzgerald, BGC and GFI on September 11, 2018 in New York City. The woman who made “How you doin’?” famous hasn’t been doing so well, unfortunately. But it looks like she is on the road to intentional recovery. 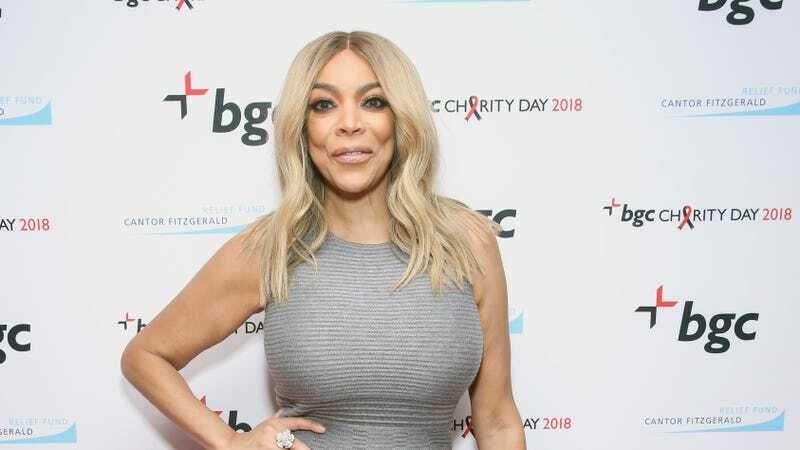 Wendy Williams recently returned to lead her The Wendy Williams Show after an over-month-long hiatus, due to a fractured shoulder and her continued battle with Grave’s Disease. There’s been a lot of speculation concerning her health, but the 54-year-old host took initiative to speak her truth. “So, you know me for being an open and truthful person,” the successful talk show host began without wasting any time. Williams also added that no one knew about this news besides her husband, Kevin Hunter, and their 19-year-old son Kevin Jr.
As People noted, Williams admitted to having an addiction to the substance for about a decade, early on in her career, where she made a name for herself in the radio industry. “Drugs were a demon I had to overcome,” she said in a 2014 interview with the magazine.